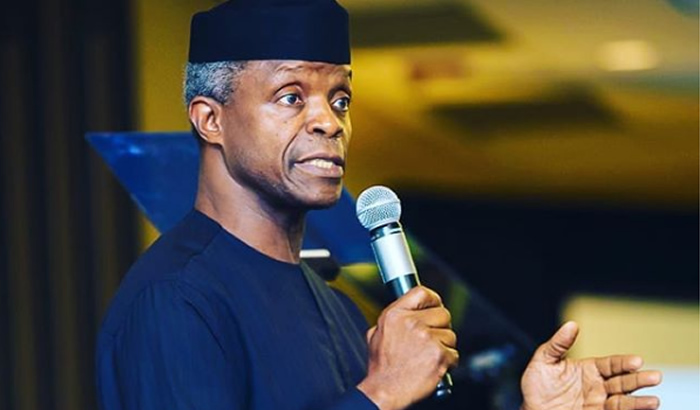 Vice-President Yemi Osinbajo has pledged the Federal Government’s assistance for Kogi State communities ravaged by flood. The Vice-President made the pledge on Monday while on a visit to the St.Luke’s Internally Displaced Persons’ Camp in Koton-Karfe. The Vice-President pleaded with the people to accommodate one another, “especially in this trying period”. “We should be able to accommodate our people, to be as comfortable as possible, despite the terrible circumstances of this flooding,” he said. Osinbajo, in company with the Governor of Kogi State, Alhaji Yahaya Bello, toured areas in the state affected by the flood, especially in the Ibaji Local Government Area. “We moved round and we have taken a look at many of the flood sites and it is very clear that a lot of damage has been done to farmlands and to houses. “For those, it is the intention of the Federal Government, working with the state government, to offer some rehabilitation and some comfort in whatever way possible to those who have lost their farmlands and those who have lost their homes. “Land and property are under water and after this period when the water recedes, that is really when the hard work begins because those who have lost farmlands need to be restored somehow and need to be compensated. “I hope that in the next few weeks, we would be able to return people not just to their farmlands but also to their homes,” the Vice-President added. Meanwhile, the National Emergency Management Agency on Monday said about 441,251 people had been affected by flood in about 50 local government areas in the country. The agency said this in a situation report on the flooding which it said had left 141,369 people internally displaced. It said about 192 people sustained injuries as a result of the flood with a total of 108 lives lost to the disaster. According to the report made available to our correspondent by the spokesman for NEMA, Sanni Datti, about 13,031 houses have been destroyed as a result of the flood while 122,653 hectares of agricultural land have been damaged. A breakdown of the 441,251 people affected by the flood showed that Kogi State suffered the highest, with 118,199 people affected. This is followed by Kebbi, Anambra, Niger with 94,991, 64,331 and 51,719 affected people respectively. The NEMA report said a total sum of N12.13bn would be required to provide relief materials to those affected by the flood. It said currently, only about N3bn, which is 25 per cent of the sum, was available. This, it noted, had resulted in a shortfall of N9.13bn. The report stated, “Since late August, heavy rains across Nigeria have caused large-scale flooding that has already impacted 441,251 people. “However, numbers are expected to rise further as assessments are still ongoing in some states, including Rivers and Bayelsa, which are believed to be amongst the worst hit. “As water levels have continued to rise in Rivers and Bayelsa states, some communities have been submerged under water. “To avert the loss of lives and injuries, NEMA, in collaboration with the military, has started immediate evacuation of families that are still trapped in their homes. Two persons were said to have lost their lives in the Ahoada West Local Government Area of Rivers State following the threat by the flood to over 30 communities in the area. The indigenes of the area have since begun to leave their homes after about 40 buildings were submerged under water after days of downpour. It was gathered that the deceased persons had gone to the farm to harvest their cassava in order to prevent it from being destroyed by the flood. The deceased persons were said to have been trapped by the flood and could not get any help before they drowned. Communities in the area seriously affected by the flood are JK 1,2,3, and 4, Mbiama, Oruoma, Ugovia, Akinima, Ikeodi, Okarki, Okparaki, Kamusha, Udoda and Ogbogolo. 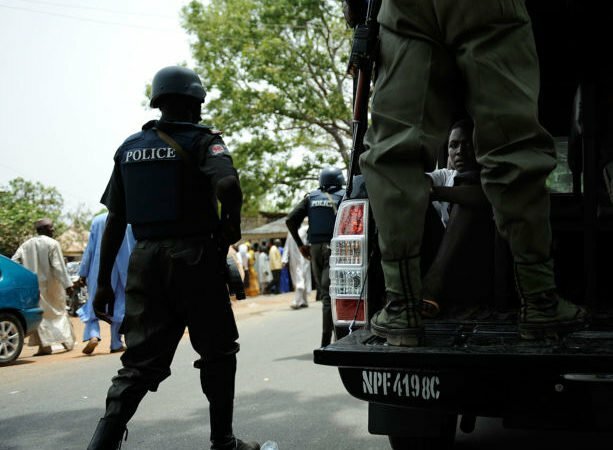 The Chairman of Ahoada West LGA, Hope Ikiriko, explained that the people of the area were currently in fear, lamenting that the Federal Government had abandoned them to their plight. Speaking while inspecting some of the affected communities where he distributed relief materials to victims, Ikiriko urged the Federal Government to declare an emergency on the flood situation in the area.